"The culture industries are growing fast in the Nordic and the Baltic countries as well as in the whole of Europe. This industry is creating new jobs and facing, at the same time, new demands and positive challenges. We need top leaders with top training for these posts. Consequently, we need high profile training for the future game changers," says Dr. Susanna Pettersson, Director General at Nationalmuseum, Sweden. “Arts and cultural organizations need the equally strong leadership expertise as leading consumer brands. They compete for people’s time and interest. 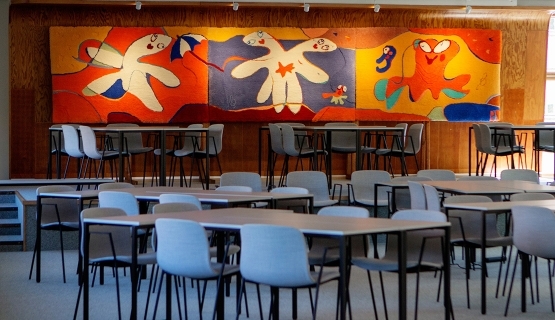 Their pedagogical and educational mission is realized only by reaching the audience effectively and building the right networks,” says Dr. Pekka Mattila, Group Managing Director for Aalto EE and Professor of Practice at Aalto University School of Business. Also, the new generation of leaders must be developed to rise to respond to the present and coming challenges in the field of arts and culture. To begin the process of shaping the program content, Aalto EE and GUSEE together with the Swedish Nationalmuseum gathered executives from cultural organizations from Finland, Sweden, Denmark, Norway, Estonia and Latvia to Stockholm in September. In this roundtable discussion, executives shared their views, sparred and fostered learning, inspiration and wonder. The discussion also contributes to the content of the program that is launching in late spring 2019. Delivering a transformational program like ours, aimed at further building the business acumen capabilities of leaders, will contribute to the way that cultural institutions can stay relevant and have an even larger impact on their surrounding societies. Aalto University Executive Education Ltd offers high-quality leadership development services (Aalto EE), professional development services for specialists and managers (Aalto PRO) and creative solutions covering the whole life cycle of entrepreneurship (Aalto ENT). Aalto University brings to our offering a multidisciplinary approach, together with innovative learning methods; this provides a unique combination of practical expertise with the latest research. Aalto University Executive Education’s strengths lie in its global operating model and diverse offering. In addition to Finland and Singapore, Aalto University Executive Education offers education programs in China, Estonia, Indonesia, Iran, Lithuania, Poland, Russia, South Korea, Spain, Sweden, Taiwan, Tanzania, Vietnam and the United States. As a part of Aalto University, it holds three respected business university accreditations – AACSB, AMBA, and EQUIS – which places it among the top 0.4% of institutions in the world. GU School of Executive Education (GUSEE) delivers an Executive MBA program with a Nordic-Asian focus, and custom programs for the private and public sectors. Programme deliveries take place in Sweden and globally. By combining academic rigour and practical relevance, our programmes empower our clients to implement winning strategies through personal development of their leaders. The School of Business, Economics and Law at the University of Gothenburg (SBEL) holds AACSB, AMBA, and EQUIS accreditations.